Many successful people are well-acquainted with estate planning, but from time to time need to update their estate plan due to family or other changes. Many other people hear the phrase “estate planning” and assume it does not apply to them. Chances are good, though, that it’s time for you to consider, or reconsider, your estate planning needs. Here at Bleakley Law LLC, our estates and trust lawyers are dedicated to helping you find the best solutions for you when it comes to estate planning. In addition to including the people and causes you care about, you need to make plans for who will one day assume responsibility for the closely-held business. As estates and trust lawyers in Chicago, we have the experience and knowledge necessary to guide you through this process. Read here to learn more about wills, trusts, and estates and then contact us today for professional legal help as you begin this process. Estate planning can trigger a lot of emotions for many people, which is one reason why many people don’t make provisions for what will happen to their property, business, wealth, or even children or spouse in the event of their death. In fact, only 44 percent of Americans had wills in 2016, and many of them were older people. But this can lead to unfortunate circumstances for people who die unexpectedly without a last will and testament. A will is a document written with the help of a will lawyer that is both signed and witnessed and indicates how property should be distributed when you pass away. A will may also include the person to be named as guardian of minor children. Even if you do not believe you have many assets to pass on, a will is important because it indicates your exact wishes. In your last will and testament, you will name an executor who will be in charge of distributing your estate in the event of your death, exactly according to your wishes. The will becomes part of the public record and goes through probate. The wishes from your last will and testament will be executed as part of the probate process. Within your will, you can plan everything from business succession to care for your pets to a guardian for your minor children. It’s wise to meet with a will lawyer who can help you make sure you make provisions for all aspects of your life. You may make amendments to your will at any time prior to death. Wills and trusts vary immensely in how they serve you. Both documents are highly customizable. As with a will, you can create a trust to match your exact needs and preferences as best as possible. Unlike a will, a trust deals with the management, preservation, and eventual disposition of your property without being filed publicly with a court. Your trust stays private. Your trustee can also manage your assets during your lifetime if you become disabled, while a will only takes effect after your death. Details of your trust can be changed throughout your life to reflect any changes you feel are necessary. People commonly make changes after a divorce or marriage or after the birth of children, grandchildren, or other beneficiaries. A trust lawyer can help you legally navigate the trust’s formation and any future changes. 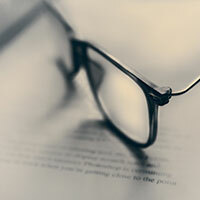 Completing a living trust is an important part of estate planning because it allows you to get your preferences in writing without risking your privacy and incurring additional costs in the event of your death or incapacity. This is because court intervention is not required with a trust, as it is with a last will and testament. Upon your death or incapacity, your living trust will name a successor trustee and allocation of property will take place without court supervision being necessary. This means you could avoid the costs, publicity, and inconvenience that comes along with a traditional will. Meet with one of our trust lawyers to make sure you plan for everything possible. Some of the most common provisions included in a living trust are: what will happen in the event of your own disability or death, what will happen to your property, who will provide for your minor children, and what will happen to your business. A living trust is generally appealing because you can use it for any size estate and because it prevents your financial assets and affairs from becoming public record. Whether you need a simple, straightforward last will and testament to plan for your family or you need help with a complex living trust, Bleakley Law LLC can help. 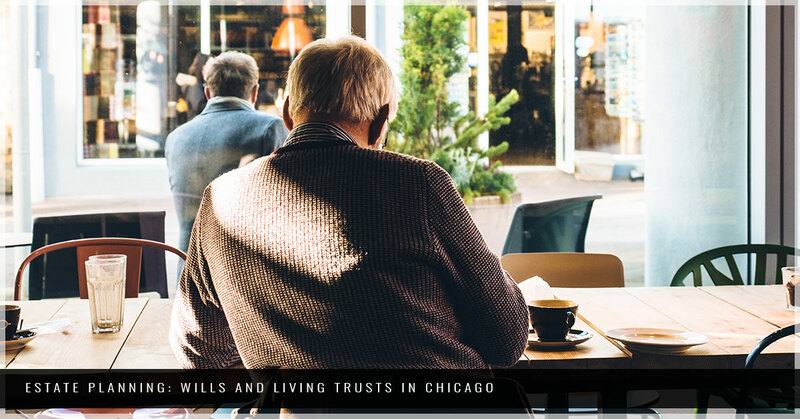 When it comes to estate planning in Chicago, we have the knowledge and expertise to help you with both of these situations — along with many other estate planning situations that could come up. 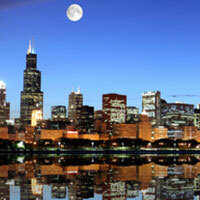 Here in Chicago, we help our clients with family business and succession planning as part of their estate planning. A family business provides asset protection, increased investment opportunities, and a centralized management of family wealth. The business lawyers at Bleakley & Associates LLC represent businesses often, and this allows us to help with your business succession in a unique way. Bleakley Law LLC can also help with probate and trust administration here in Chicago. Our will lawyers can assist in the ongoing administration of trusts, personalized guidance for you while creating the document, and other factors individual grantors may specify. A corporate law firm in Chicago, Bleakley Law LLC handles corporate and transactional law; mergers and acquisitions; private equity and venture capital; securities law; and employment law. 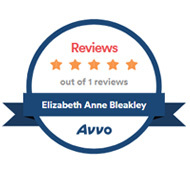 Elizabeth Bleakley started several businesses of her own before becoming a business lawyer and founding Bleakley Law LLC. She has experience in estate planning for both married clients and individuals and takes care of clients by preparing wills, powers of attorney, and living trusts. Because of her background in business, she is especially capable of helping with business succession planning along within estate planning. 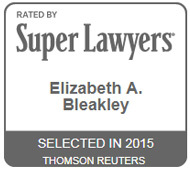 Bleakley Law LLC works with trusted professionals when tax planning needs arise. Estate planning is for everyone, and at Bleakley Law LLC, we work hard to make our services valuable for people of all backgrounds. Whether you are planning your last will and testament or you are working through a complicated living trust, our estate lawyers can help you succeed. Contact our corporate law firm in Chicago today to get started.